Everyone drops their smartphone at some point. Even a recovered fumble triggers that unpleasant stomach lurch as visions of cracked and shattered screens run through your mind. Broken smartphone screens are the leading cause of smartphone failure and repairs can be eye-wateringly expensive – Apple charges $279 to replace the iPhone X screen, for example. Thankfully, glass is getting tougher all the time, and one name that has become synonymous with that trend is Gorilla Glass. It has been a decade since Corning released the first version and Gorilla Glass has been used on more than 5 billion devices since then. Compared to the original Gorilla Glass, the most recent Gorilla Glass 5 is much stronger. If it was used in the same phone design, today’s version would allow you to drop the phone from four times higher with the same damage resistance as before. In testing Gorilla Glass 5 survived face drops from between 1.6 and 1.8 meters, which Bayne calls “selfie height,” onto 180 grit sandpaper, which replicates asphalt and concrete. “Our epiphany 10 years ago was finding a way to strengthen glass by putting the surface in compression,” Bayne said. Over the years, Corning has been able to apply higher and higher compression to protect against flaws, and if there are flaws to keep them from causing a break event. That’s good because smartphone manufacturers are employing more and more glass in the latest designs. Smartphone screens are getting bigger, frames are shrinking, and glass damage is a growing problem. Sadly, we may not be feeling the full benefit of the improvements in strength precisely because of this shift in smartphone design. Many manufacturers want to make their devices thinner. While there’s cover glass used in smartphones is getting tougher all the time, scratches and breaks are still alarmingly common. Solid statistics are hard to come by because we get our screens repaired in a host of different locations, from official manufacturer centers to independent repair shops. Some of us even repair them ourselves, but a surprising number of people just live with the damage. A recent O2 survey in the U.K. found that half of all smartphone owners have damaged their screen at least once, 20 percent of Brits admitted to living with a cracked screen for more than six months, and 14 percent ended up with injuries caused by the cracked screen. When Motorola introduced ShatterShield in 2015 it released similar survey results stating that 50 percent of people globally have experienced a cracked screen and 23 percent continued to use the phone with a broken screen. If you drop your phone and flip it over to find the glass intact, you count yourself lucky, but you may have already sowed the seeds of disaster. A drop onto asphalt could introduce a flaw you can’t see that leads to a break later. Keys in your pocket can also cause microscopic flaws that weaken the glass. When pressure hits, like a drop onto a hard surface, it seeks out those flaws and cracks or shatters the glass. A few years back there was talk of Apple employing sapphire glass instead of Gorilla Glass in the iPhone 6. Although sapphire offers greater scratch resistance, it’s more likely to break than Gorilla Glass when dropped. Apple stuck with Corning, but the argument about scratch versus drop damage resistance continues. You have this gorgeous, curved glass design that feels futuristic and the look is quickly spoiled by oily smudges. The company does also produce Gorilla Glass SR+ which offers greater scratch resistance and is aimed primarily at the smartwatch market. It was used in the Samsung Gear S3 and Acer’s Leap Ware, and Corning continues to work with other manufacturers. The challenge is the manufacturing process is a little more complex and so the cost of Gorilla Glass SR+ is higher. However, we may see it in smartphones in the future if Corning can drive that cost down. Beyond cracks and scratches, there are some other issues with glass that can prove annoying. Anyone who owns a phone that has a glass front and back, whether it’s the LG V30, Galaxy S8, or the iPhone X, knows all about ugly fingerprints. You have this gorgeous, curved glass design that feels like the future and the look is quickly spoiled by oily smudges. We’ve gotten used to carrying around a microfiber cloth to polish up our phones. Corning offers an “easy to clean” (ETC) coating, usually called an oleophobic coating. Unable to prevent the marks in the first place, there is another trick that can be employed to diminish how noticeable they are. The anti-glare treatment diffuses the light, reducing the effect of it being bent by oil and glass, but with displays that have resolutions higher than 200 pixels per inch (ppi), it causes bright spots to appear. Corning has also developed an anti-microbial coating. 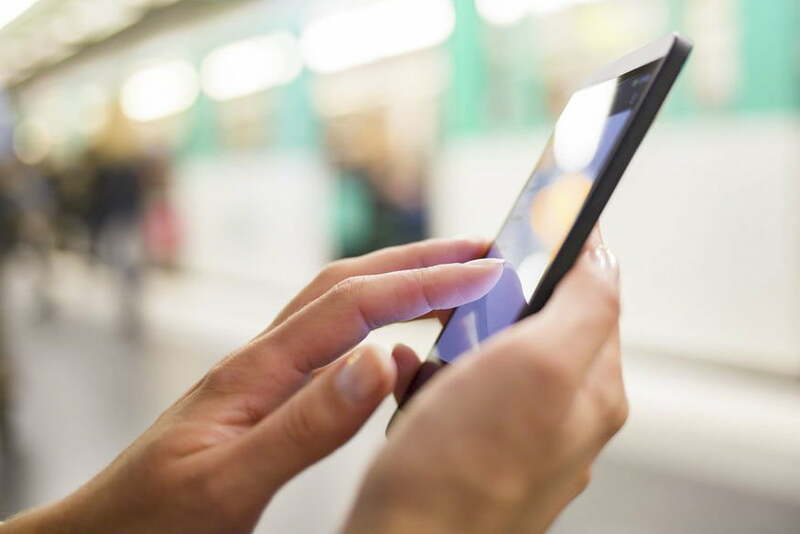 If you’re unsure whether it’s required for phones, consider that a University of Arizona study back in 2012 found cell phones carry 10 times more bacteria than most toilet seats. More recent research examining 27 mobile phones belonging to high school students found an average of more than 17,000 bacterial gene copies per phone. Returning to damage resistance, Corning continues to focus on making Gorilla Glass stronger, but if you’re worried about drop damage or scratches, then consider cases and screen protectors. 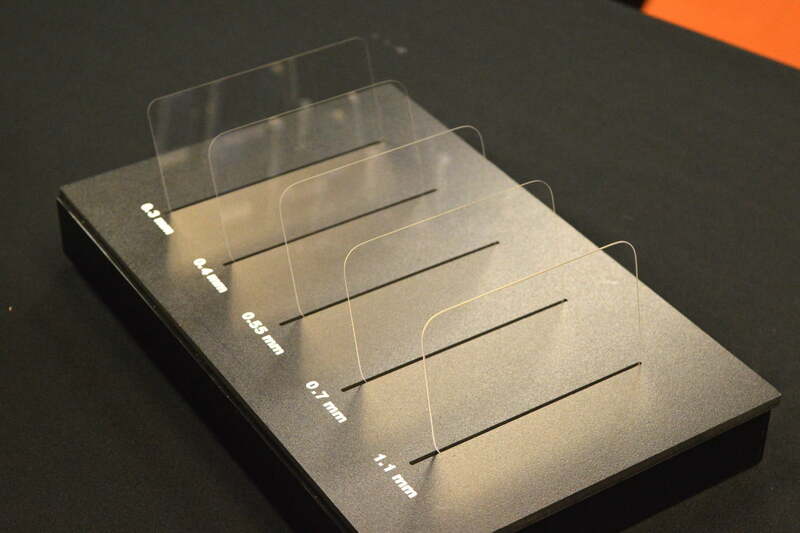 “Plastic screen protectors scratch and they don’t protect the phone from a drop, but putting on a glass screen protector if you want added protection certainly makes sense,” Bayne said. Despite its flaws, there’s no doubt glass will continue to be a popular choice for phone makers. Unfortunately, there’s no way to repair scratched or cracked glass, so if you do have an accident, replacement is the only way to go. For all its flaws, glass is a great material for smartphone manufacture. It’s transparent, has a good tactile feel, it’s chemically durable, it can be shaped, it allows for a strong signal and wireless charging, and it can be treated with all sorts of useful coatings. There’s no doubt it will continue to be a popular choice for phone makers. Gorilla Glass 6 is still a year or so away, but it’s sure to bring a new level of durability. We may never have truly unbreakable glass, because anything can be broken under enough force, but the day when we don’t have to panic about a drop from pocket height or while we’re taking a selfie is creeping closer.